Our snowmelt project group met on Wednesday to summarize our final year of field data and make plans for putting together our three years of results from the experiment. We have lots of data and had a good discussion about how to package it to best convey our main results. 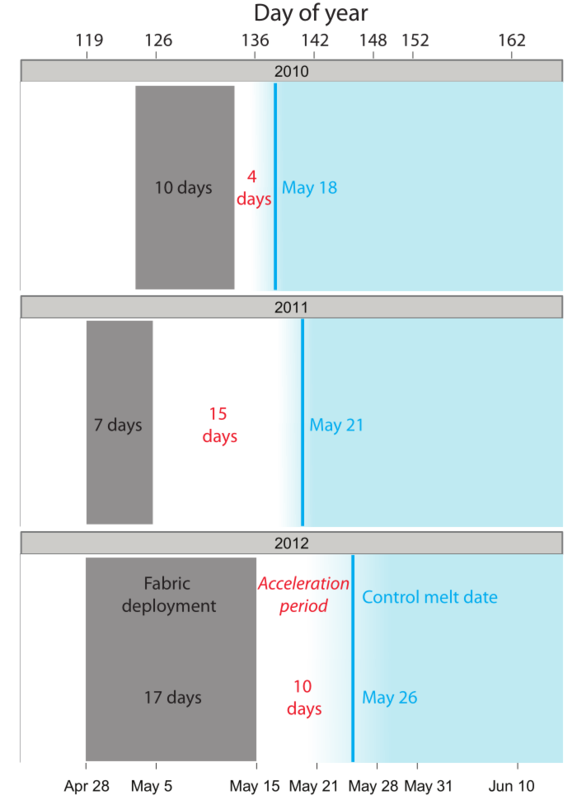 Below is the effect of our snowmelt acceleration treatment on the timing of melt over the three years of our project. We decided that we want to write a mix of papers that focus on single data sets and papers that combine data sets from the different aspects of the project. Some of the data sets are complex and unique, seeming to warrant their own papers while others may be better brought to light in the context of the whole experiment. One of the challenges of combining data sets from different aspects of the project is that field data sets can be idiosyncratic, with only the data collectors having total understanding of all of the nuances. We had a nice discussion about how to make accurate conclusions when melding the different project parts. I’m greatly looking forward to this integration of data since I’ve been so focused on this project for the last three years. I really enjoyed participating and contributing to the oral session I was in entitled When Winter Changes: Hydrological, Ecological, and Biogeochemical Responses. There were many great talks. I tweeted some highlights from the session. More highlights on my twitter page. Both of these are along Trail Ridge Road around 12,000 feet elevation. The road was just above a dense layer of fog. The tundra was pretty brown by this time of year. In studies of soil nitrogen (N) cycling, there is growing demand for accurate high-throughput analyses of amino acids and other small organic N compounds. 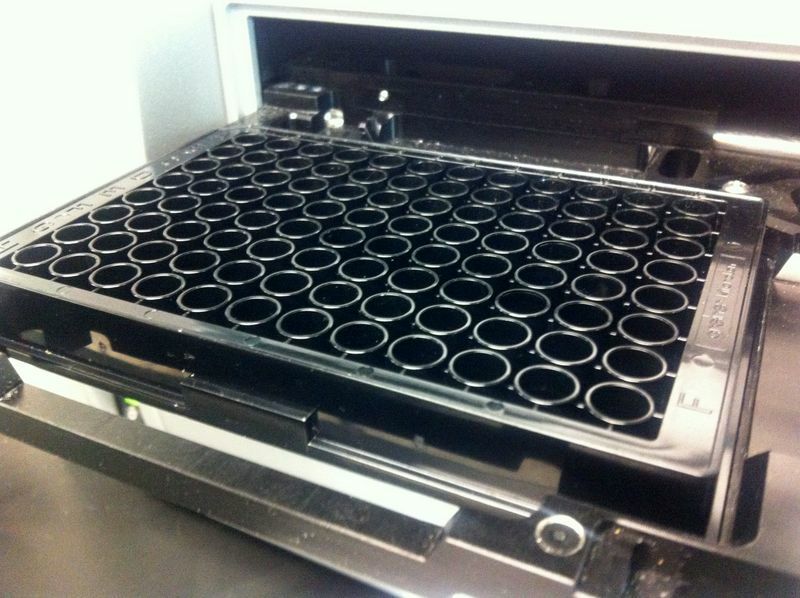 We adapted an existing fluorometric amino acid method based on o-phthaldialdehyde and β-mercaptoethanol (OPAME) for use in 96-well microplates, and tested it using standards and field samples. While we started with an existing protocol, we made one critical change: instead of using a 1-min incubation period, we used a 1-h incubation period to deal with differences in reaction timing among microplate wells and to reduce interference from ammonium. Our microplate method is similar in sensitivity to existing protocols and able to determine leucine standard concentrations as low as ∼0.5 μM. Finally, we demonstrate that the OPAME reagent fluoresces in the presence of primary amines other than amino acids, such as amino sugars and tyramine. Because of this broad sensitivity to primary amines, descriptions of the measured pool should be revised from total free amino acids (TFAA) to total free primary amines (TFPA). Reaction kinetics of primary amines and ammonium with OPAME. a. Fluorescence levels of leucine, a mixed amino acid standard, and ammonium over 3 h at 1.5 min intervals. b. Ratio of ammonium:leucine fluorescence for 20 μM standards over 3 h (mean ± 95% CI, n = 5). c. Fluorescence levels of leucine, glucosamine, tyramine, and N-acetylglucosamine over 3 h at 1.5 min intervals. 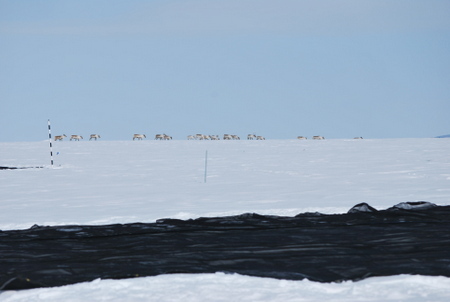 It is nice to have more confirmation of this trend since it is a major premise of our Arctic field experiment. I don’t think the paper is available online yet. That’s snowmelt day of year on the vertical axis and calendar year on the horizontal. So it is good to know that our experiment is accurately simulating a broad Arctic trend even if there has been a recent local effect that is the opposite. I arrived in Estes Park yesterday to attend the LTER (Long Term Ecological Research) network meeting this week. I like this meeting because there are a lot of ecosystem scientists that do work closely aligned with my interests. These are my people. 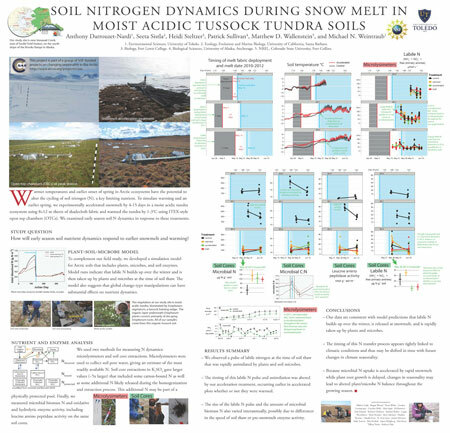 I’m presenting the above poster on data from our three summers of field data from the Arctic. (click poster for pdf). So far a successful experiment! I’m at Toolik right now tying up loose ends for the third and final field season of our project. When we arrived on August 11th, I was struck at how green it was here, definitely greener than last year at that time. However, within the first couple of days, the landscape turned from green to yellow and is well on its way now to red and brown. We have been busy taking a final round of soil cores and now taking the site down. Just before arriving here, I had a nice trip to ESA in Portland and saw lots of friends and lots of great talks, particularly by some of my fellow postdocs I’ve met at Toolik and elsewhere. I want to post a few observations about the conference soon. While the tundra is enchanting as always, I can’t wait to get back home to my sweet little baby and her heroic mom. 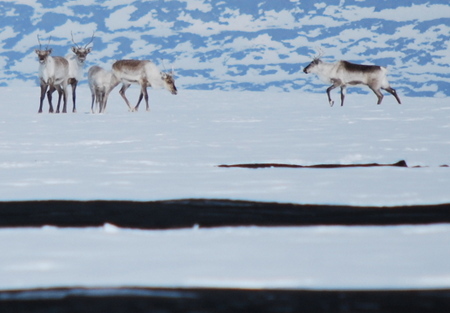 Not to interrupt the flow of pretty pictures from the arctic, but I have to address an important topic: microplate calculation spreadsheets. I know this is for a narrow audience, but I’m always surprised by how much finding random things like this online can help me, so here we go. The goal is to paste raw microplate data into a spreadsheet and get out the final numbers you need. If you had thousands of microplates, it might be better to write a short program that can process the data, but for everyday lab analyses that change frequently and are implemented by many lab personnel that don’t program stuff, the spreadsheet is a good tool. I’ve made a lot of these spreadsheets over the last few years to help process enzyme and nutrient data. Here’s one I made recently. It has a few parts in the different worksheets: (1) the blank template in which raw data can be pasted; (2) a pipetting map to be printed so that you know where to put your samples when you are pipetting; (3) simulated data that helps to identify the assumptions you are making about sources of well absorbance (for colorimetric assays) or in this case fluorescence; and (4) a run with the modeled data to help spot errors in the spreadsheet. Here are some guidelines I have learned over the last couple years that I think make these spreadsheets more useful for our lab group. (1) Label all the parameters. In particular, formulas should only have references to other cells, not any hard values like mass of soil used or volume of extractant, etc. This will prevent having to search all cells whenever you change one of these variables. (2) Highlight anything you have to enter when samples are run so you don’t forget anything. (3) Don’t make overly complicated formulas that are difficult to decipher later. To prevent this, divide up long calculations into two or more steps so each is more clear. (4) Test the spreadsheet with simulated data that you create to look similar to real data but with nice round values. This will help you identify assumptions in the way calculations are made as well as locate typos in calculations across many spreadsheet cells. (5) Make the output of your spreadsheet into a well organized table (below) that has only sample ID information and the final values in preferred units. 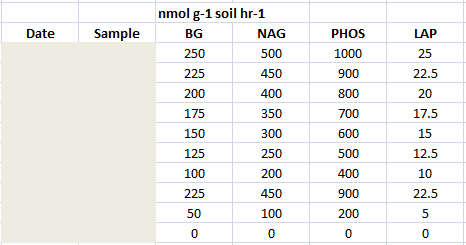 Then you can grab these values to use for stats and comparison with other assays, leaving all the processing behind. 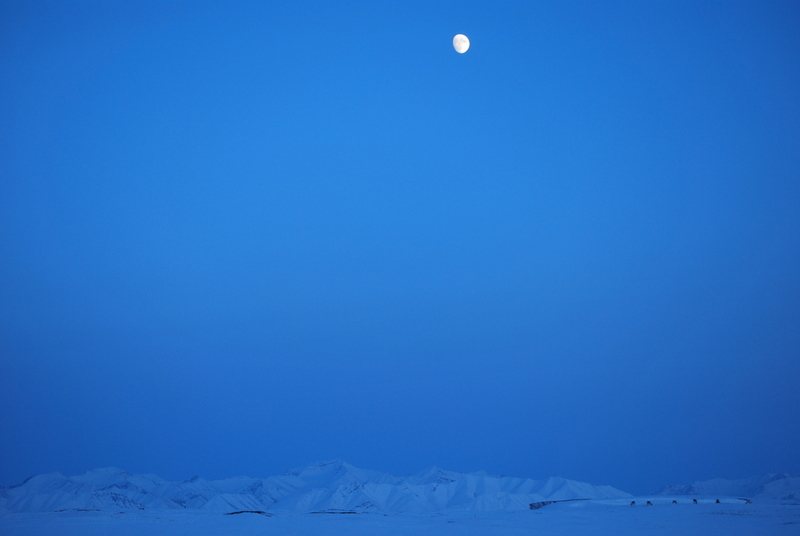 I take off from Toolik the day after tomorrow. 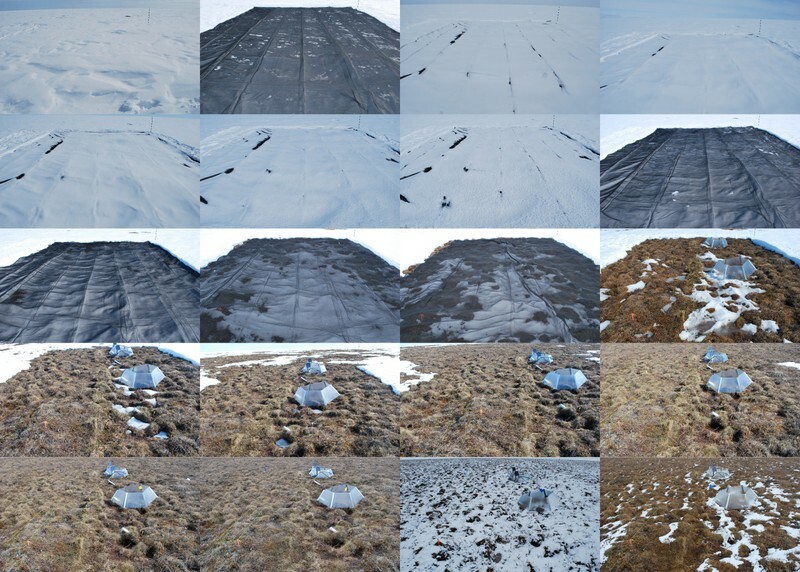 Here’s a time series of photos from our experiment, starting on April 28, and ending on May 27. 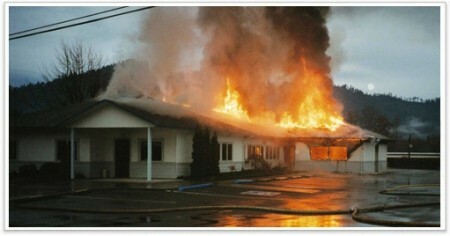 The acclerated plots melted about 10 days before the control plots. Here’s the whole series from last year. 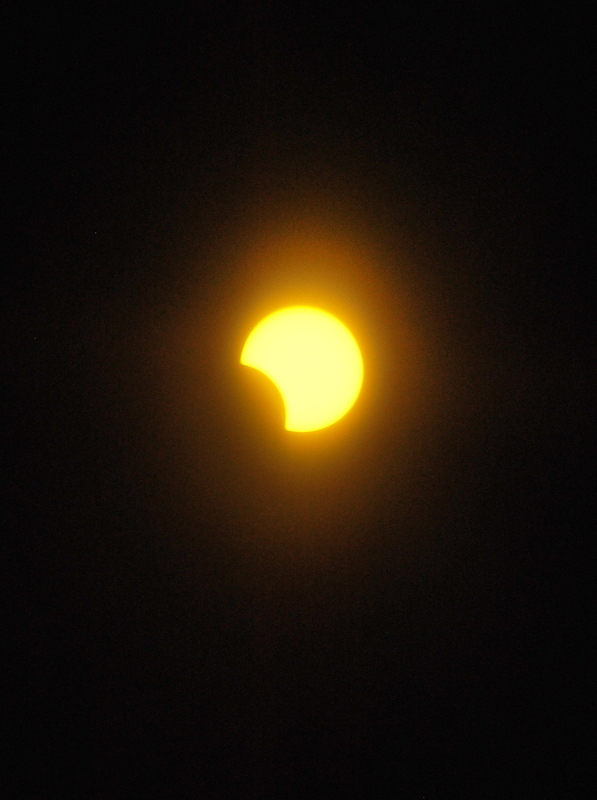 5:20 p.m. Taken through a piece of welding mask glass. We were monitoring plants in our freshly melted tundra plots and we noticed that this Eriophorum had signs of herbivory. 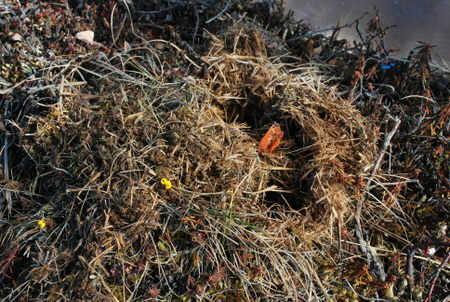 The vegetation and organic material had been turned into hay piles by a vole. 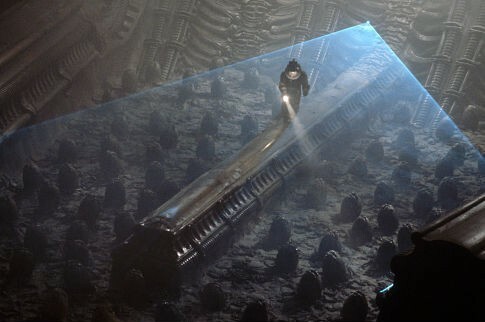 Then, like Kane, as we stood up and looked around, we realized they were EVERYWHERE. 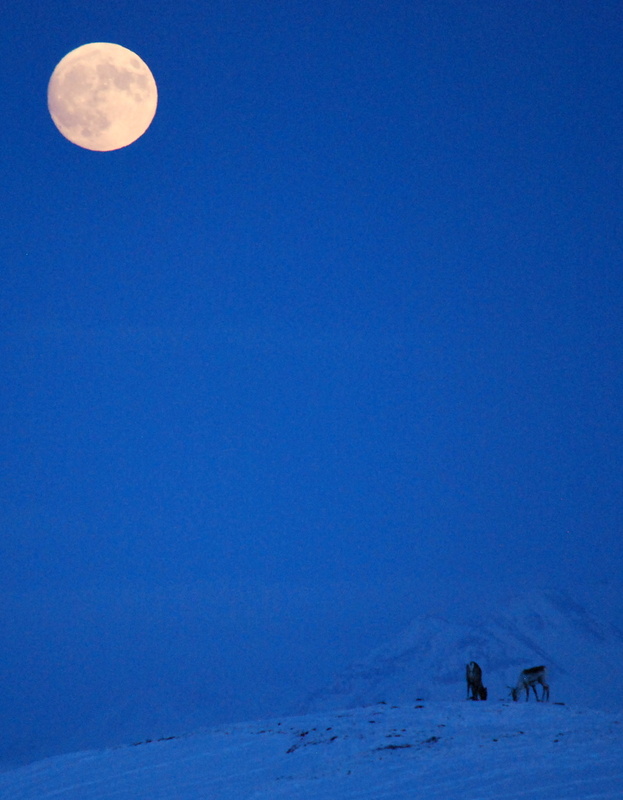 Caribou (dots on lower right) grazing by moonlight in front of the Brooks Range. 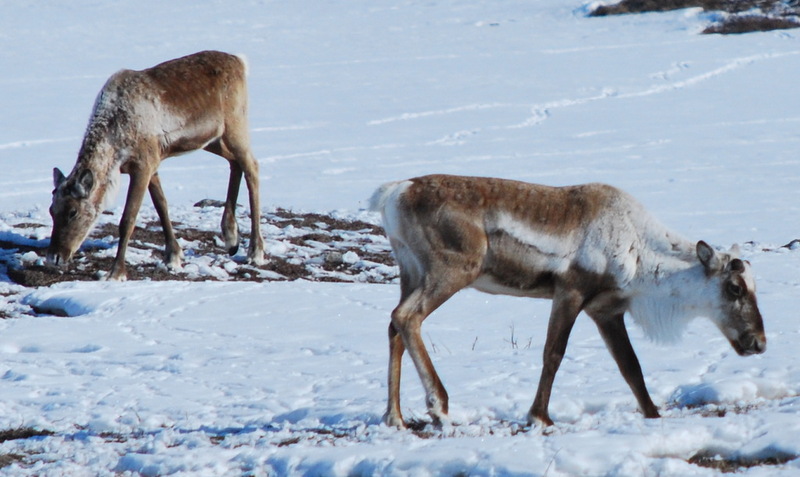 I think they are eating the tasty vegetation in the long-term fertilized research plots. This was about 10:30 p.m. last night. Temp was around –5°F. They are very focused on eating and rarely look up. This one must have an itch or something. 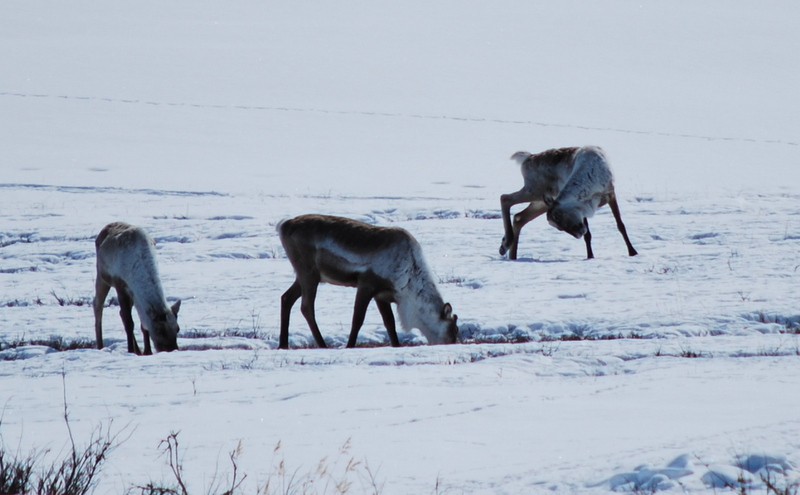 Speck-sized caribou on a distant ridge grazing in front of the arctic sunset. Update (5/4): Saw a herd running today. Today, for the third and final year of this project, Sadie and I got our snowmelt acceleration treatment up and running. 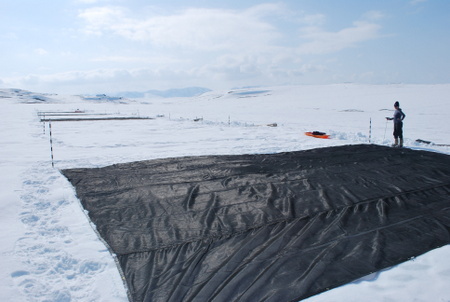 This is the site after we deployed shadecloth on our five accelerated snowmelt plots. 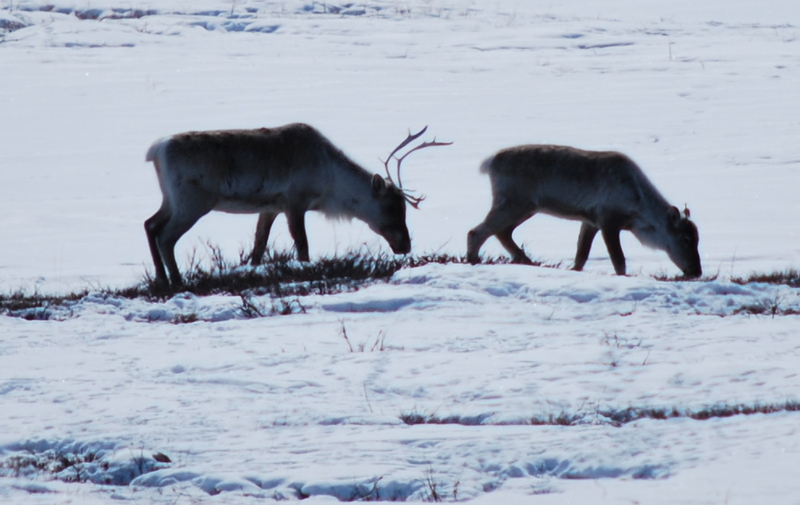 There are tons of caribou around right now. These guys wandered near our plots, then took off after staring at us for a while. The deployment went great. The snow looked good and the weather was excellent. If temperatures stay this warm, melt will be quick! Our lab group just finished reading this book by Josh Schimel. We read two chapters a week and discussed them, which was a nice pace for absorbing the material. It’s easy to read, but there is so much good advice that it’s nice to have time for it to sink in. I have 70 published papers in international, peer-reviewed journals; and I want to go back to each and every one of them and rewrite them with the messages from this book clear in my head and clear to the reader. Fortunately I found the book earlier than this guy, but I am also eyeing my past papers and realizing how I could have made them much better. I’m referring to the animated gif above. Click for the full size version. Mom: Anthony, what is going on in that graphic? Is it a joke? Me: lol no joke, it’s actual satellite images of seasonal change in earth surface color throughout the year. 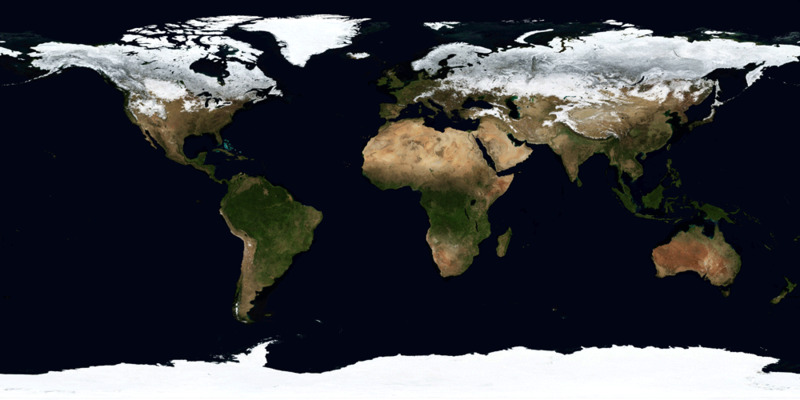 Mainly you can see snow extent and when different parts of the world are in their growing seasons. Mom: Ah ok — so what ten things did you learn? Clearly you need specialized knowledge to interpret that animation. 1. While there is permanent snow/ice cover in Antarctica, there is almost no seasonal snow cover in the southern hemisphere. 2. Permanent snow/ice cover near the north pole includes not just Greenland, but also many other large islands in northern Canada like the Sverdrup islands. 3. 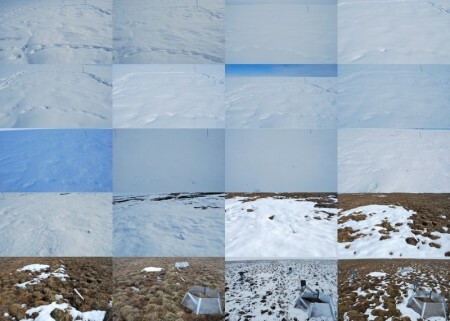 During the winter, the boreal forest is not as white as the tundra above or the plains below (lower albedo), presumably due to the trees poking out from the snow. 4. In Australia, plants on the northern coast green up in the summer while plants on the southern coast green up in the winter. 5. A huge swath of Brazil has deciduous vegetation (also, Madagascar). 7. The rainforests of South America, Africa, and Southeast Asia that stay green all year round are a lot greener than even peak greenness in the nearby seasonal ecosystems. 8. The permanent snow in the Himalayas is mostly constrained to a thin band where the subcontinent is smashing into Asia. 9. The Amazon river becomes so massive during the rainy season you can see it from space (at least I assume that is what’s going on there). 10. The Nile River delta dries up twice a year. Notice how it flickers more than once per annual cycle in the gif. Here’s an animation that confirms this. Also, this is more geography, but I had never noticed the Kerguelen Islands before. Looks like it is pretty snowy there in the winter. I have been using lattice for my R graphics for years, and it is a great software package based on William Cleveland’s groundbreaking approach to analyzing data. However, a few weeks ago I was trying to show data points, means, and summary bars in the same graphic, a task that should be straightforward in a graphics environment. This is not impossible in lattice, but does involve writing a cumbersome “panel function.” This approach was great for its time – when lattice came out there was nothing else like it – but unfortunately it has not evolved into a more user-friendly system. Having read about ggplot2, I knew that it had a more modular system where you can add or subtract different graphical elements such as summary stats or data points at will. So, I tried it for the data I was working on and never looked back. 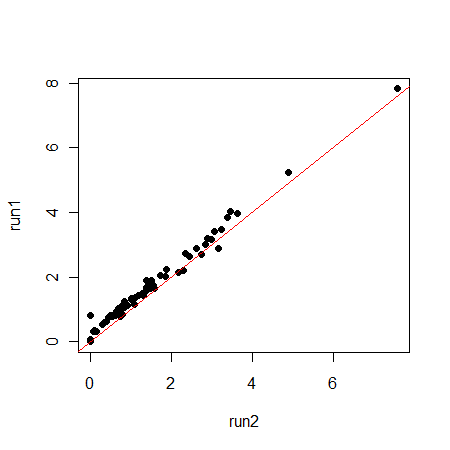 It took minimal effort to learn the ggplot2 system. In addition to the useful modular design, the default approaches to tasks such as automatic legend creation, log axes, and jittering are well done. While I know an upgrade when I see one, I will also miss lattice since I think it’s a fantastic piece of open source software that was my analysis workhorse for the last eight years. It was also one of the packages that really motivated me to learn R.
Plant stress master variable: non-structural carbon? Currently the effects of various stresses cannot be deconvoluted in field environments, but storage carbon size likely provides an important point of convergence of various stress pathways. The predictions based on non-structural carbon pools suggest that maintenance of higher storage carbon pools increases the tolerance of sustained stress. Could understanding plant stress be as simple as this? Probably not, but it’s a nice place to start. 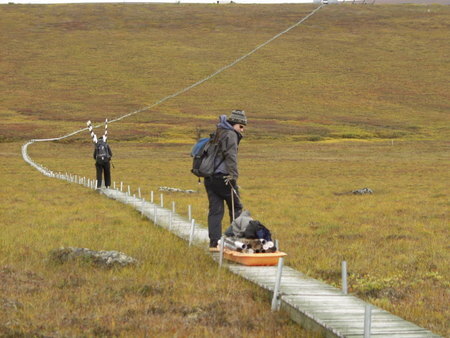 We are thinking about doing some preliminary analyses with some of our arctic plants. Our idea is to take plant tissues, enzymatically degrade the starches into sugar and then measure the total sugar pool. We think that our snowmelt acceleration treatment may be stressing the plants. If we do see reductions in nonstructural carbon in those plants, it would be consistent with our hypothesis of plant stress and could provide a nice piece of evidence. The review also mentions that in the future, we may find more sophisticated correlates like VOCs to help us nondestructively assess plant stress level. 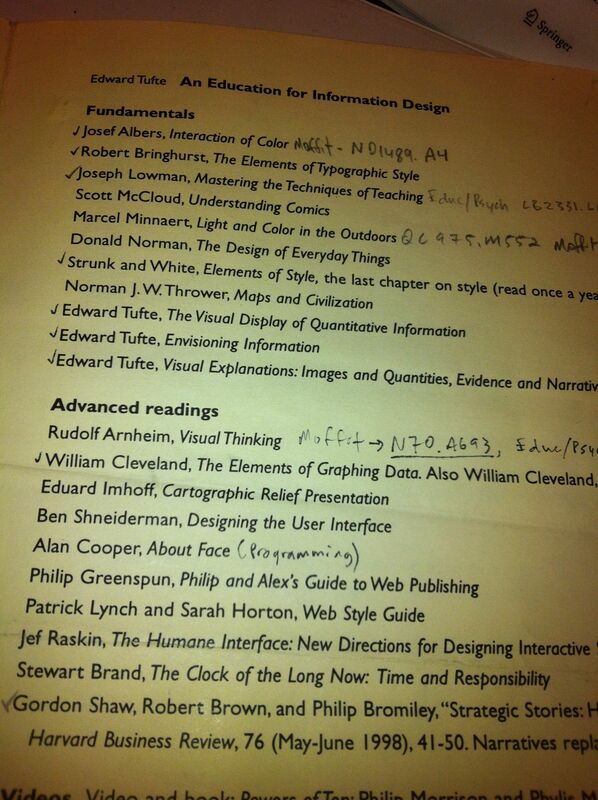 Here’s a list I got from an Edward Tufte one-day seminar in 2001. I read a lot of the books on the list (you can see my library call numbers I scrawled on there back in the day). They were instrumental in helping me understand how to interpret and present scientific information. The web stuff is almost certainly way out of date; everything else is still great. I particularly recommend the William Cleveland books (the one you can’t see is Visualizing Data). Statistics classes should start with Visualizing Data instead of standard textbooks. Edward Tufte still does the one day course and it is excellent. Grad students in particular are at a great stage to benefit, so I highly recommend it to them. 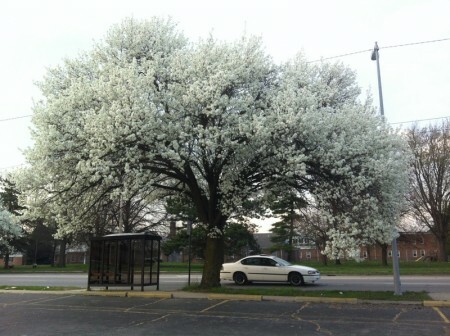 It’s been an early spring here in Toledo and indeed throughout the Eastern United States. 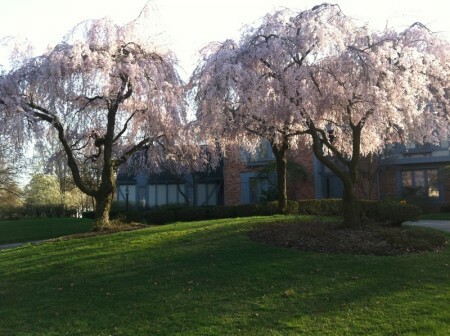 In Washington DC, the cherry blossoms peaked on March 20, one of the earlier recorded dates. NPR even ran a fun story about phenology, the study of the timing of biological events like plant flowering dates. 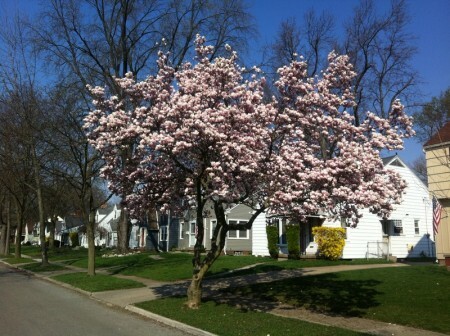 This Magnolia is right around the corner from our house. Nice! And there are a bunch more in the IPY channel. These videos have been viewed dozens of times, which doesn’t sound like a lot, but is probably already more times than all of my previous conference abstracts combined have been read. Cool science projects and youtube seem to go together well. The one-minute length is smart too. Last weekend, I enjoyed watching If a Tree Falls, a documentary about a group of arsonists in the Earth Liberation Front. The film was both educational and a fascinating story. It illuminates some important aspects to environmental activism in the 1990s and early 2000s and the filmmakers do a great job of answering an obvious question: what were the arsonists thinking? It also has an interesting sort of reverse mystery — we already know whodunnit, but it’s interesting to see who figured it out and how. One of the fun things for me in watching the story unfold was that I remember seeing news stories about a lot of the events in the film and I feel like I have been on the periphery of the communities in which the events took place. I remember protesting old-growth logging with a youth environmental group when I was in high school. I remember hearing about the “black bloc” anarchists from friends who attended the Seattle WTO protests when I was in college. I remember hearing about the burning of a scientific poplar plantation in Oregon from a guest speaker at CU as a grad student. While I obviously don’t agree with arson as a tactic, I and many other environmentalists are in the awkward position of agreeing with the arsonists on some of the issues that motivated them. For example, it is in fact tragic and shortsighted to clear-cut the few remaining old growth forests on the west coast. Also, the frenzy to brand people “terrorists” so that prosecutors and law enforcement can claim to have bagged them is worrisome. In the end, I don’t think their misguided approach to addressing these problems has had a huge impact one way or another because it is clear that they are well outside of the mainstream. 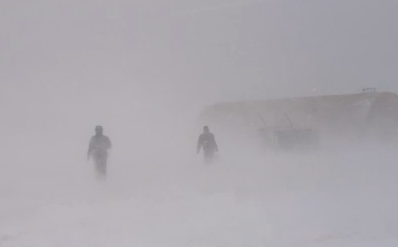 Here are some fun videos of blowing snow on Niwot Ridge from a couple of days ago. Winds can top 120 mph up there. The mesotopographic model developed by Billings (1973). Alpine plant communities are formed by the spatial gradients created by snow cover, which is generated by wind exposure and topographic position. I’ve seen a couple interesting papers recently on spatial biogeochemistry, a topic I enjoyed working on during my dissertation. Here’s how I described the importance of spatial biogeochemistry in one of my dissertation papers. In this case, I was discussing nitrogen (N) import and export from ecosystems, but the same case can be made for other biogeochemical processes. Our current understanding of N import and export is based primarily on point estimates or on integrated estimates from hydrologic data. While these estimates provide a valuable foundation for understanding these processes, more detailed measurements that take spatial heterogeneity into account are likely to reveal important biogeochemical phenomena at larger scales, especially in the complex terrain of mountain ecosystems. 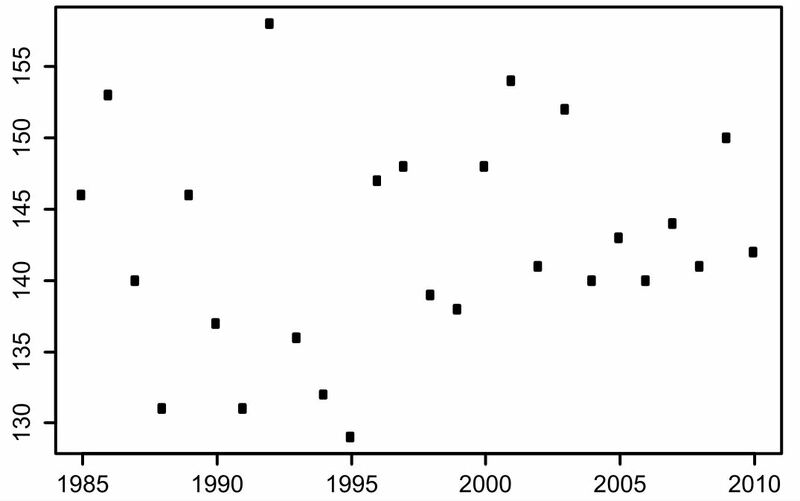 Based on soil respiration measurements taken at a subalpine forest in central Montana, we found that locations with high drainage areas (i.e., lowlands and wet areas of the forest) had higher cumulative soil respiration in dry years, whereas locations with low drainage areas (i.e., uplands and dry areas of the forest) had higher cumulative soil respiration in wet years. These results highlight that evaluating and predicting ecosystem-scale soil C response to climate fluctuation requires detailed characterization of biophysical-topographic interactions in addition to biophysical-climate interactions. I think they are correct that taking spatial variation into account is one of final frontiers in understanding ecosystem carbon cycling. 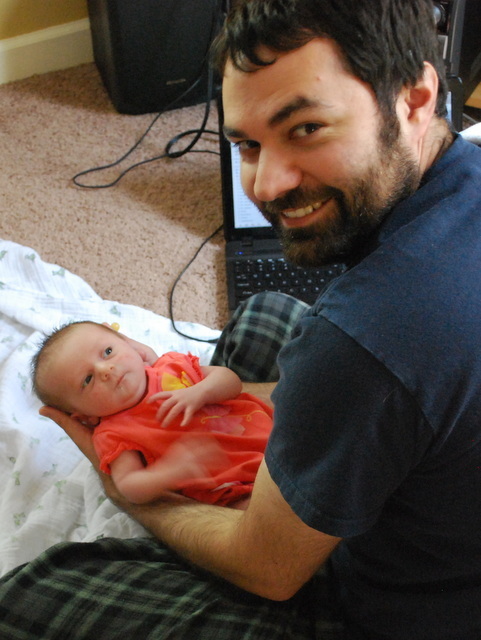 Diego was a postdoc at CU when I was a grad student there; now he’s faculty at the University of Nebraska. They are lucky to have him as I think he is becoming a leader in this research area. In another recent study of N export from watersheds, Ross et al. were able to make a quantitative link between the magnitude of soil processes and N export in streams. Stream NO3− export was positively related to nitrification rates … These spatial relationships found here suggest a strong influence of near-stream and near-watershed-outlet soils on measured stream NO3− export. 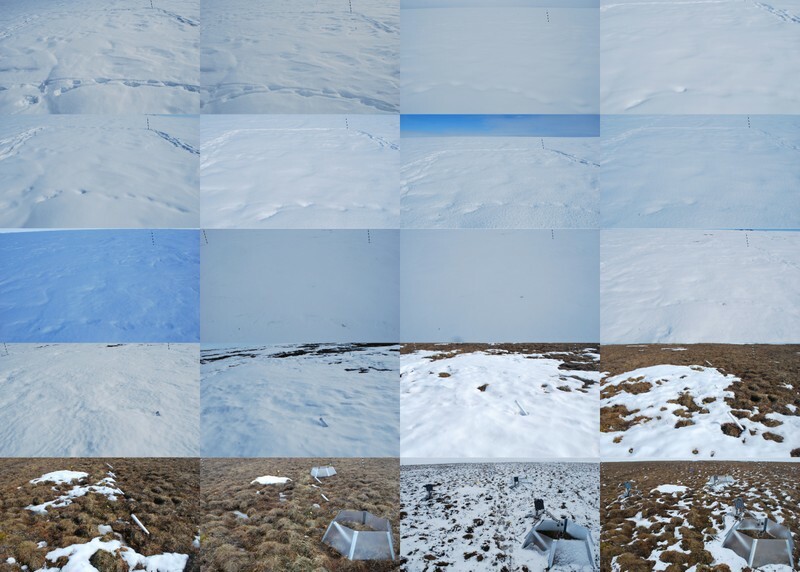 There were a few caveats to this relationship, but it is impressive that they were able to document this link at all since it is difficult to meaningfully measure the magnitude of these soil microbial processes. I’m not sure why we are the focus of this boycott, but I’m very concerned about one dissatisfied scientist, and I’m concerned about 2,000. Tough question! Here’s a hint. No such thing as humus? One old idea in particular is now in question, with the challenge culminating in a recent report in the journal Nature. Under fire is the belief that soil remains stubbornly soil, a large fraction of its organic materials resistant to decay because of the accumulation of large molecules called humic substances. One professional society devoted to the substances is in the odd position of hearing colleagues label as fiction its primary topic of study. 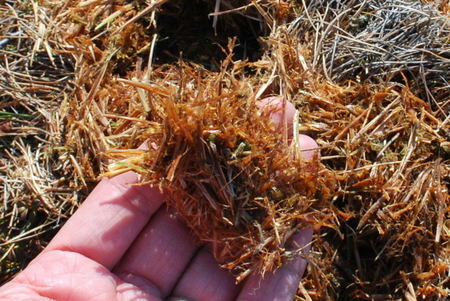 The idea presented in the article is that it doesn’t make sense energetically that these large resistant molecules will form in soils and that instead compounds as simple as sugars may be preserved in soils through other mechanisms. I did see a lot of talks at AGU in December about the importance of physical occlusion and other forms of stabilization in soils. I think as people continue to bring fancier methods from analytical chemistry (mass spec, HPLC, fluorometry, etc) to bear on these questions, we will in fact have to redefine what soil organic matter is chemically. 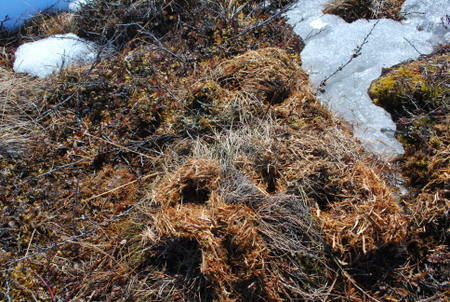 However, it may be too soon to say that there is no such thing as chemical resistance to decomposition. Comments Off on No such thing as humus? "date" "Season" "Plot" "DOC" "MBC" "DON" "MB.N"
 "NH4" "NO3" "moisture" "NAG" "CBH" "AG" "BG"
 "LAP" "BXYL" "PHOS" "PHENOX" "NetPerox" "UREASE" "logNH4"
 "logNO3" "logLAP" "logPHENOX" "logNetPerox" "microbialCN" "extractCN" "tempmax"
Now if I want to do a scatterplot matrix or, say, print the median for each variable, I can use the reference vector y. The reference vector y can easily be modified as the analyses evolve. For example, if I decide to switch to a log-transformed version of a few variables, I just change their names in the code for variables, create a new y, and re-run. Scientists’ opposition to the Research Works Act is getting a lot of attention (e.g., here and here). I feel as many scientists do that this bill would make our job of disseminating information harder in order to enrich publishers. That doesn’t seem like a good deal. At this point, it is up to the publishers to convince me that they are providing value for their work that justifies the high prices they charge. 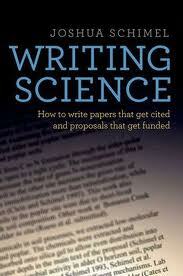 I see scientists writing, editing, and peer reviewing manuscripts. I see publishers facilitating peer review by providing clunky and chronically out-of-date online tools as well as doing a mediocre job typesetting and copy editing our articles. In my experience, these services have been outsourced to overseas companies with poor communication skills. The typesetting and print publishing are also a waste of money since we all have internet. Their online publication systems are also clunky, with poor search functionality, spammy TOC alerts, and cookie-cutter websites. Finally, it’s insulting when I work for years on a project and then, upon publication, have to sign over my copyright to a journal that then turns around and asks if I want to buy that copyright back for $3000 (that was what Springer asked on my last publication). The only reason I and many other scientists put up with this absurd arrangement is that the industry has been savvy about maintaining control of the high profile journals in which we need to publish to advance our careers. Hopefully the press surrounding this issue will lead to education and grass-roots action among scientists. It may be easier than we think to submit our work to publishers that we trust to make it freely available and even deny peer review services to the worst corporate offenders like Elsevier. No groundbreaking discoveries or anything – I was just pleased to see that we got a good match between two runs of the same samples (units are µM amino acids). I’ve been working on a microplate procedure for measuring total free amino acids in soil extracts with our lab tech Mallory. These results are good since we’ve been running this procedure on hundreds of samples over the last two weeks. This is also the last data we need for a short note we are writing on the procedure, so it’s a nice way to start the weekend. Really nice video here featuring a couple of my advisors from CU as well as my good friend Nicole Trahan. Videos like this may not rack up Bieber-level interest on Youtube, but for those that care – including policy makers and students – this seems like a great way to get across the main ideas of a research project to a broader audience. I hope more groups follow this lead. As for the science, it’s interesting to see the importance of root exudates to the story of ecosystem carbon balance in these forests. 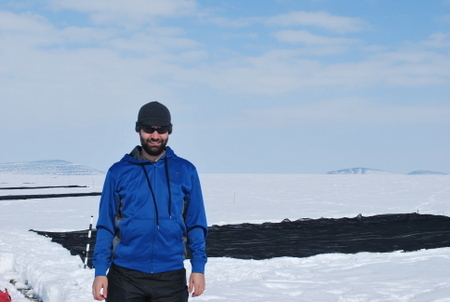 We have been moving in the same direction of focusing on root-microbe interactions on our Arctic project. It was first widely held that N deposition should increase tree growth in the northern hemisphere, in particular (e.g., Townsend et al., 1996); the Kyoto protocol even stated that this effect should be accounted for. However, based on the distribution of 15N tracer added experimentally to forests in Europe and N. America, Nadelhoffer et al. (1999) proposed that the effect of N additions on C sequestration should be minor as they found that most 15N ended up in the soil rather than in the above-ground parts of the trees. Their proposition was challenged by Magnani et al. (2007), who, based on estimates of net ecosystem production (NEP) derived from eddy-covariance studies, argued that the correlation between C sequestration and N deposition was very strong, with a slope indicating that many hundreds of kg of C were sequestered per kg of N deposited on the forest. Högberg then goes on to provide some evidence that the correlation between NEP and N deposition may not be causal since humans tend to populate (and pollute) areas that are already more productive and likely to naturally sequester more C. It is an interesting explanation of the data and I will be curious to see any response Magnani et al. may have. Either way, it is certainly difficult to figure out what atmospherically deposited N does in these ecosystems since there is still a lot we don’t know about belowground ecosystems and tree ecophysiology.